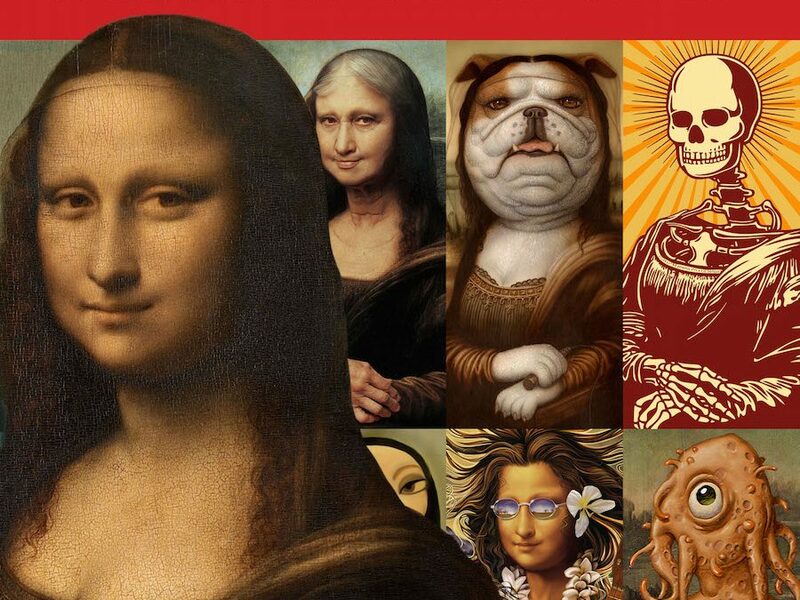 No painting in history has been reproduced as often as Mona Lisa, and yet never before has there been published a book such as MONA LISA REIMAGINED, a captivating anthology of hundreds of pieces of art that have been inspired by this priceless world treasure. For over 500 years, civilizations have exhaustively attempted to examine all facets of the famous artwork’s creation, influence, mythology, heritage, and mystique. But perhaps one of the most fascinating aspects of Mona Lisa’s enduring legacy is the frequency with which this painting has been reinterpreted, parodied, appropriated, and imitated by other artists. No painting in history has been reproduced as often as Mona Lisa, and yet never before has there been published a book such as MONA LISA REIMAGINED, a captivating anthology of hundreds of pieces of art that have been inspired by this priceless world treasure. Featuring both established and emerging artists from over 50 different countries, this book is destined to become an essential addition to every bookshelf, coffee table, and library. Author Erik Maell is an illustrator and graphic designer whose clients include Lucasfilm Ltd., Universal Studios, The Walt Disney Company, Marvel Comics, DC Comics, Topps Trading Card Company, and Victoria’s Secret Beauty Corporation. He lives in Columbus, OH.